Now that Office 365 has been released to the Web (RTW) for commercial use, there is considerable interest in taking advantage of SharePoint Online’s Access Services to create Web-based data management applications (Access Web Databases) at a monthly cost of US$6 per user. An advantage of this approach is that Access Services supports migration of tables, queries, forms and macros to SharePoint lists, Web pages and workflows. Alternatively, you can move just the Access tables to SharePoint Online and link them to on-premises Access front-ends. Optional local data caching improves data access performance and enables offline data entry. 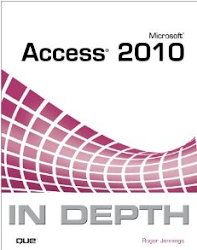 You can learn more about migrating Access 2010 applications to SharePoint Online in my May 2011 Webcast. Note: The current version of Office 365’s Access Services doesn’t support reports. If you need printed reports, Access Hosting offers hosted SharePoint 2010 for up to 10 users at a flat rate of US$99 per month. Access Hosting offers many advantages over SharePoint online, as described here (scroll down.) My Upsizing the Northwind Web Database to an Updated SharePoint 2010 Server Hosted by AccessHosting.com post contains links to my March 2011 Webcast about the topic. Rollbase is a cloud application platform, which includes a wizard for importing Access 2000 or later *.mdb and Excel *.xls and *.csv files into Rollbase Objects and Fields to create Rollbase Applications for the Web. Rollbase’s primary claims to fame are its reported capability to import Salesforce and Force.com applications and availability in public and private cloud versions. There’s no indication on the Rollbase site of support for importing Access objects other than tables. Hosted applications are US$15 per month per user. SharePoint Conference 2011 is your only opportunity this year to see over 200 sessions focused on SharePoint 2010 and related technologies both in the cloud and on-premises. All current session content including abstracts and speakers have been posted to www.mssharepointconference.com! The conference will be held in Anaheim, CA on October 3 – 6. This year’s conference will have a breadth of both technical and non-technical sessions and will have suitable topics for everyone regardless if you are new to SharePoint 2010 or working on continuing your SharePoint education. SPC11 will provide you with the training, insight, and networking you need to develop, deploy, govern and get the most from SharePoint. You’ll also hear from Microsoft Engineers, Product Managers, MCMs and MVPs who will discuss topics such as cloud services, best practices and real world project insights. Don’t miss your chance to attend and learn from these sessions by registering now! Conference registration is only $1,199 and seats are selling fast with only 2.5 months until the event! SharePoint Conference announces five ancillary conference training opportunities with limited space! Act fast before space sells out! To view more information on each session below click on the training title to learn more about the session including abstracts, agendas, speakers, costs and maximum attendance. Register now to reserve your seat!